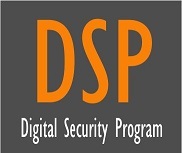 The Digital Security Program (DSP) is a hybrid, "best in class" approach to cybersecurity documentation that covers dozens of statutory, regulatory and contractual frameworks to create a comprehensive set of cybersecurity policies, standards, controls and metrics. The DSP has a 1-1 mapping relationship with the Secure Controls Framework (SCF) so it maps to over 100 leading practices! To understand the differences between the DSP and WISP, please visit here for more details. This version of the Written Information Security Program (WISP) is based on the ISO 27002:2013 framework. It contains cybersecurity policies and standards that align with ISO 27001/27002. You get fully-editable Microsoft Word and Excel documents that you can customize for your specific needs. To understand the differences between the NIST 800-53, ISO 27002 and NIST CSF versions of the WISP, please visit here for more details. This version of the Written Information Security Program (WISP) is based on the NIST 800-53 rev4 framework. It contains cybersecurity policies and standards that align with NIST 800-53 (including NIST 800-171 requirements). You get fully-editable Microsoft Word and Excel documents that you can customize for your specific needs. This version of the Written Information Security Program (WISP) is based on the NIST Cybersecurity Framework (CSF) framework. It contains cybersecurity policies and standards that align with NIST CSF. You get fully-editable Microsoft Word and Excel documents that you can customize for your specific needs. The PCI DSS Cybersecurity Policy & Standards is focused entirely on PCI DSS v3.2 compliance. This contains a policy and supporting standards to address all of the PCI DSS v3.2 requirements for merchants. The Cybersecurity Standardized Operating Procedures (CSOP) comes in two main versions (1) Digital Security Program (DSP) and (2) Written Information Security Program (WISP). These versions contain different levels of coverage, so you want to buy the correct CSOP for your needs. The CSOP is essentially a templatized catalog of procedures that you can edit for your needs. We did the heavy lifting in writing the procedures to get to approximately an "80% solution" so you just need to do the final customization of the procedure that only you will know since that is going to be very specific to your organization and business processes. This can jump start your procedures effort and save you several hundred hours of development time. The WISP version of the Cybersecurity Standardized Operating Procedures (CSOP) comes in three flavors: (1) ISO 27002, (2) NIST 800-53 and (3) NIST Cybersecurity Framework. These versions contain different levels of coverage, based on the framework, so you want to buy the correct WISP CSOP for your needs. The CSOP is essentially a templatized catalog of procedures that you can edit for your needs. We did the heavy lifting in writing the procedures to get to approximately an "80% solution" so you just need to do the final customization of the procedure that only you will know since that is going to be very specific to your organization and business processes. This can jump start your procedures effort and save you several hundred hours of development time. Regardless if your cybersecurity program aligns with NIST, ISO, COBIT, ENISA or another framework, the RMP is designed to address the strategic, operational and tactical components of risk management. Policies & standards are absolutely necessary to an organization, but they fail to describe HOW risk is actually managed. The RMP provides this middle ground between high-level policies and the actual procedures of how risk is managed on a day-to-day basis by those individual contributors who execute risk-based controls. The CRA provides you a format to produce high-quality risk assessment reports, based on the Risk Management Program's (RMP) structure of managing risk. The CRA provides a high-quality template to actually perform the risk assessments that are called for by policies, standards and procedures. This allows your organization to have a risk assessment template that is repeatable and looks professional. The CIRP addresses program-level guidance on HOW to actually manage incident response operations, including forensics and reporting. Policies & standards are absolutely necessary to an organization, but they fail to describe HOW incident response is actually managed. 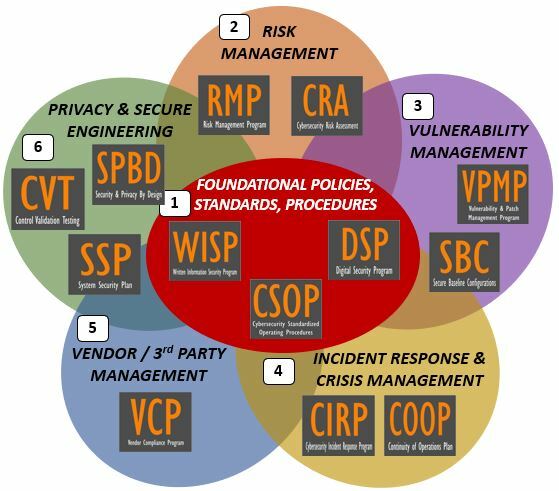 The CIRP provides this middle ground between high-level policies and the actual procedures of how Incident Response Plans (IRPs) are executed by those individual contributors task with incident response duties. The CIRP comes with a wealth of guidance, including scenario-based guidance, example IRPs, how to identify both Indicators of Exposure (IoE) and Indicators of Compromise (IoC) and more! The COOP addresses program-level guidance on HOW to actually plan for and respond to both business continuity and disaster recovery (BC/DR) operations. Policies & standards are absolutely necessary to an organization, but they fail to describe HOW BC/DR is actually planned and managed. The COOP provides this middle ground between high-level policies and the actual procedures of how BC/DR is executed by those individual contributors task with BC/DR duties. The COOP comes with a wealth of guidance, including scenario-based guidance, an After Action Review (AAR) template, Lines of Business (LOB) reconstitution steps and more! The VCP comes in three flavors: (1) ISO 27002, (2) NIST 800-53 and (3) NIST Cybersecurity Framework. These versions contain different levels of coverage, based on the framework, so you want to buy the correct VCP that aligns with the cybersecurity framework used by your organization. The VCP is essentially a "mini-WISP" that provides your vendors and third-party service providers the requirements that your organization expects of them, without having to share with them your policies and standards. The VCP can be cut & pasted into a contract addendum or be used as a stand-alone document to demonstrate the requirements you expect from your supply chain. The SPBD addresses program-level guidance on HOW to actually manage cybersecurity and privacy principles, so that secure processes are designed and implemented by default. Policies & standards are absolutely necessary to an organization, but they fail to describe HOW privacy and security principles are actually planned and managed. The SPBD provides this middle ground between high-level policies and the actual procedures of how developers, PMs, system integrators and system admins do their jobs to design, implement and maintain technology solutions. The SSP is based on existing formats that are used for FedRAMP, but is designed specifically for NIST 800-171 to document the controls affecting your Controlled Unclassified Information (CUI) and Non-Federal Organization (NFO) controls. The SSP is meant to be a "living document" that addresses the who, what, why, when, where, who and how of a security program.